Jack Black is the Founder and Course Director of MindStore International Ltd. In the 1980s, he was a social worker in the underprivileged East End of Glasgow. After seeing two colleagues destroy their health through the stress of work whilst only in their 40s, and then experiencing a similar collapse himself, he decided to discover how stress could be managed and personal development harnessed to allow people to fulfill their potential. 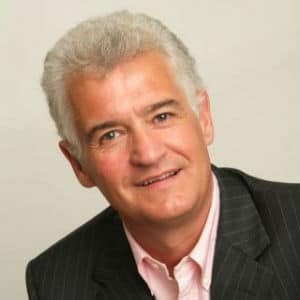 MindStore was the culmination of his findings and now Jack is recognised as one of Europe’s leading authorities on personal development and is an internationally renowned keynote speaker. MindStore is one of the world’s leading personal development programmes. The system has evolved over 25 years of research and development and underpins a range of unique tools designed to empower anyone to achieve much more in their personal and business lives. MindStore uniquely provides participants with mental tools to harness whole brain thinking to succeed and enjoy life to the full. With MindStore offices in the UK, France, Switzerland, Germany and Australia, Jack Black’s philosophy is spreading around the world. Jack is also an author. His bestselling books are ‘MINDSTORE the Ultimate Mental Fitness Programme’ and ‘MINDSTORE for Personal Development’.